Insurance products provide protection against the unexpected. When taking out a mortgage it is important to think about what you and your family would do if something unforeseen happens. There are a number of products available to help you through difficult times which are designed to protect your income or your borrowing. If you die unexpectedly a life insurance policy will pay out a cash lump sum to your family. Term assurance is often taken out to cover a mortgage as it pays out an agreed lump sum within the term you’ve agreed. Mortgage Protection is a type of term assurance where the amount of cover decreases over the term of the policy as it is designed to tie in with the outstanding mortgage amount on a repayment mortgage. Unlike term assurance, whole of life insurance pays out an agreed sum whenever you die and is often used to provide family protection. Critical Illness pays out a lump sum if you are diagnosed with a critical illness such as cancer, strokes and heart attacks as well as many other illnesses. You can use the cash lump sum that the policy pays out when you claim to pay off your mortgage, pay for medical treatment or anything else. Income Protection can help to replace part of your income if you aren’t able to work for a long time because of illness or disability. It continues to pay out until you return to work or the policy ends whichever happens first. Income protection plans usually have a waiting period before they start and the longer waiting period you choose, the lower the cost of the monthly premium. 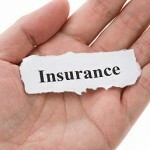 We can advise on any other areas of insurance linked to your mortgage. If you require any further information on protection policies, or you would like a quotation, please contact us.